This topic has 83 replies, 32 voices, and was last updated 3 days ago by legometeorology. 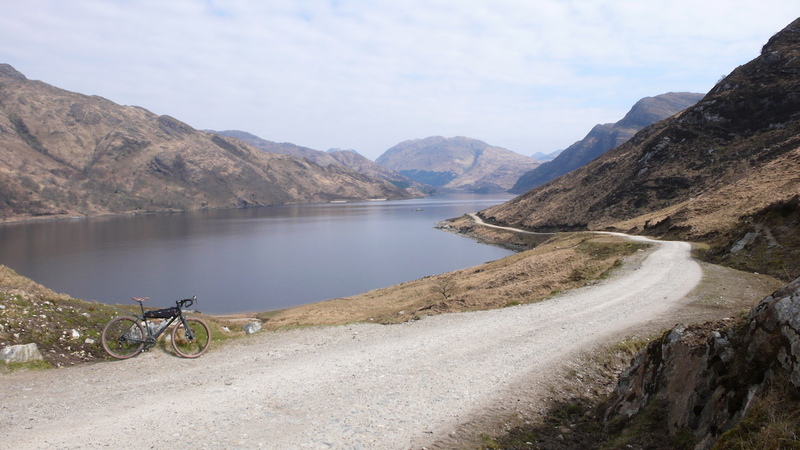 I think most of the Gaick pass route should also be rideable on a gravel bike? 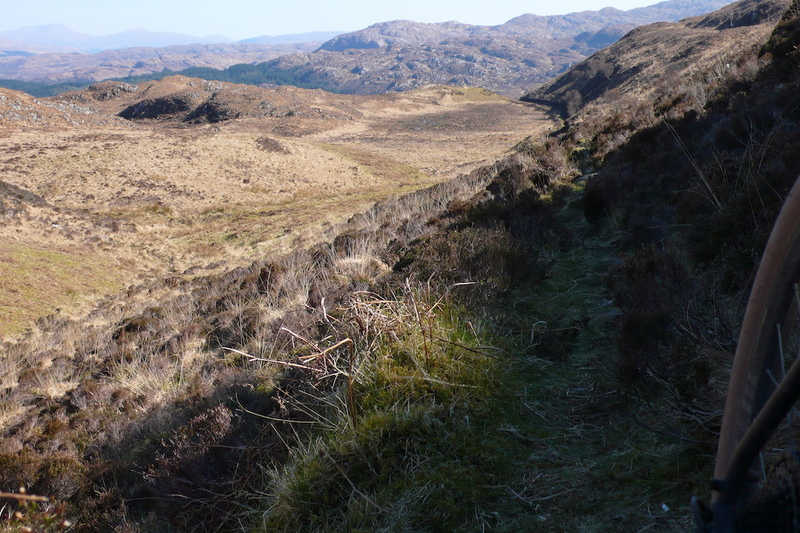 Keeping this going – Rob Roy Way from Pitlochry to Drymen. I did it using a rigid MTB with 1.75″ Marathon Mondials. TBH, doing it again I’d reverse the route. 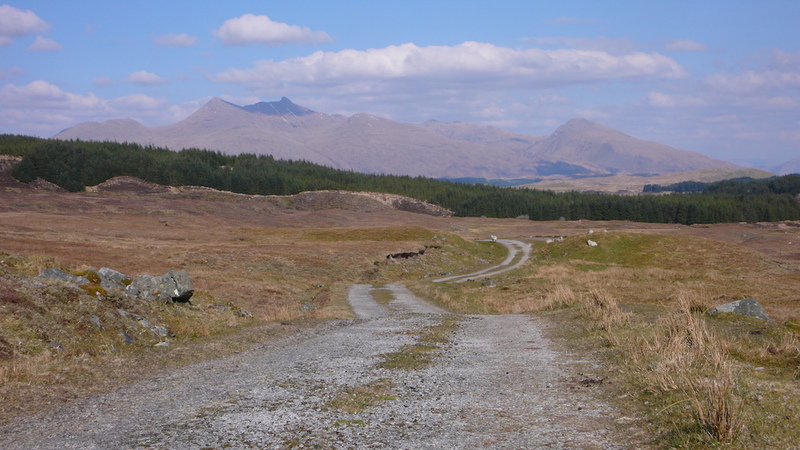 Team it up with the West Highland Way for a Glasgow Start or End point. Loving these pictures and videos folks. Wild but mild ? I think I may have found my natural home. Getting into the middle of nowhere (on my own) is basically why I ride and I tend to view anything above red route level tech as just an opportunity to break either my bike or myself. Still not sure I see the point of gravel bikes though. Even the tame trails on here look to me like they’d be a lot more fun on a mountain bike. Maybe that’s just a sign that I’m getting old but even a tame descent is a lot more fun if you can drop the saddle and pump the suspension and/or squishy tyres through all the little bumps. Each to their own though. 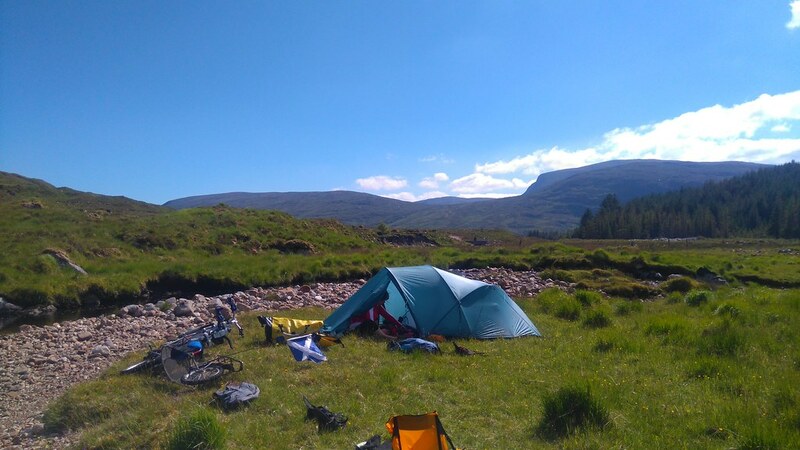 Anyway, try again: Dalwhinnie – Dalspidal Lodge – Loch Garry – Loch Rannoch – Rannoch Station – Road to the Isles route to Corrour – old HT550 route past Corrour Lodge and on to Ardverikie House – follow Pattack River and round to Ben Alder Lodge – back to Dalwhinnie. 120km of which 15km is by the A9, 20km is on a quiet road by Loch Rannoch and there’s about 2km of potential pushing at the end of Loch Garry. 1200m of ascent. There’s lots of potentially big loops in Scotland if you are prepared to do a little pushing here and there, depending on skill and determination, to join things up. 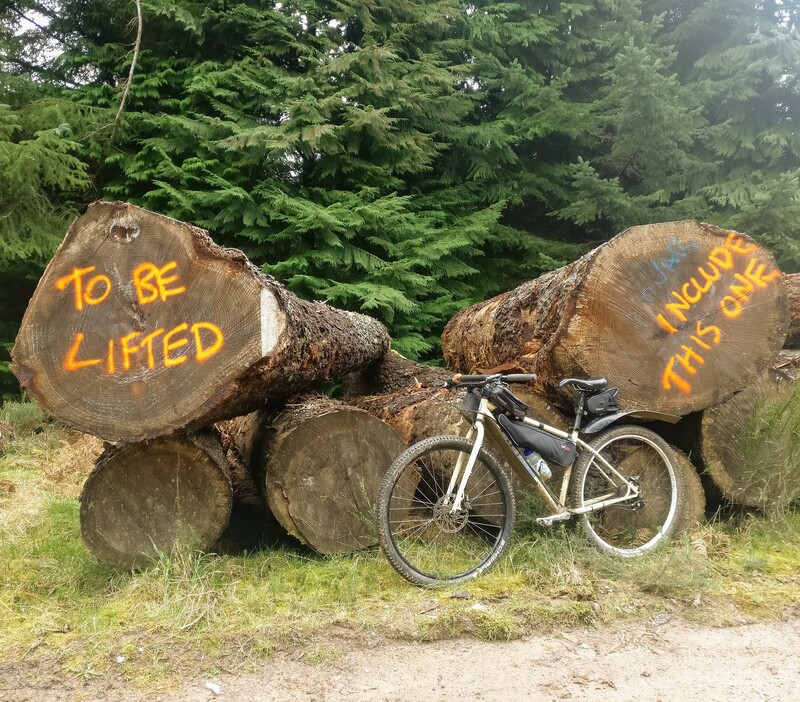 @roverpig – I agree to a large extent – the estate tracks in Scotland are a hoot on a 29er hardtail, it’s just mile munching. They tend to be just a little bit rougher than the usual forest fire road so big tyres but not necessarily suspension make them very manageable. Edit: where gravel bikes do make sense is where you have a mixed road/track route or where a generally road based ride can be made a bit more interesting by just turning off and heading along a track or to avoid a big detour (quite common in the Highlands) where a pure road bike wouldn’t cope with the track and an MTB would be a pain on the road. Still not sure I see the point of gravel bikes though. 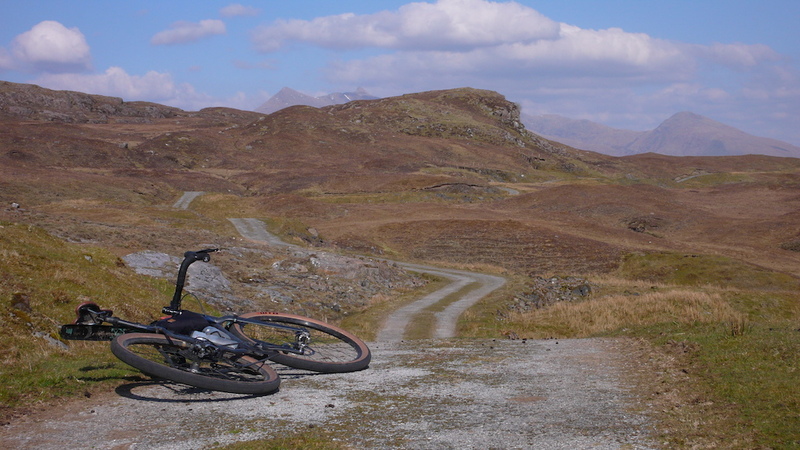 Wouldn’t be my choice for a big day out on Scottish estate tracks either (including the routes I suggested above). An XC bike would be a lot more comfortable and faster for long distance cruising in most cases, and will handle the bits where things rougher. Remember that it’s not just our waistlines that have got bigger, “road plus” tyres at 47mm or so are pretty much the same width as MTB tyres of old and probably quite a bit bigger volume. The real difference is flat vs drop bars but the wide flared drops are pretty good handling wise so long as you don’t aim for a slammed stem. Even there I prefer full-suss but that really is just a sign of age. My back just grumbles more on a hardtail these days even on estate tracks. I’d agree though, we are blessed with an amazing network of off-road but largely tame trails up here. Estate roads, stalking tracks, forest tracks and these days an increasing number of wind farm access routes, can all make for a fun day in the hills. I didn’t mean to piss on anyone’s chips either. If a gravel bike is your preferred option for these trails then go for it. Yeah – every ride is a compromise. There’s always at least one section where you think “I’m on the wrong bike”. It’s just a question of working out what suits for the majority of the trip. I’ve used everything from fatbike, 29er (rigid or front suspension, various tyre sizes), B+ (rigid or front suspension), and gravel/touring bike (700×28 to 650×47 tyres) so not hung up on one being “best”. The only thing I’ve not gone on yet is Enduropacking – decent travel FS and minimal bivvy kit – but I have a couple of routes in mind for this summer. However, as the title of this thread is “Wild but mild”, I’m assuming we’re talking about the much less gnarlier routes and making use of the little roads too. In many of those instances the gravel/adventure bike concept works really well – though rigid 29ers (let’s just pretend they’re not hybrids) can be just as good. Not sure I agree about picking a bike for the “majority of the route” but that’s being pedantic. I’d be the first to admit that a gravel bike is a better option for 95% of the stuff I ride. But the other 5% is often the most fun bit and the bit where I’d really miss the “MTB”. I’m not racing anyone so I don’t really want to give up the bit I enjoy most just to make the rest a bit faster. As you say, it’s all a compromise though and as long as you are out there nobody cares what you’re riding really. @roverpig – I did the HT550 two years ago on a rigid 29er (Cotic Solaris with Travers Prong carbon forks) and I’m just a couple of months younger than @Scotroutes. To quote Joe Friel: “Age is only a problem if you use it as an excuse.”. In fact putting B+ wheels and tyres on an MTB is ideal for such terrain as the tyres soak up all that little chatter. Most of what I’d suggest has been covered, the Northern stuff. I’ve never ridden that area at all. 42 miles, 3100 ft climbing overall. It’s a lovely day out. And while we’re discussing the tools for the job, here’s mine. Rohloff Singular swift with jones bars. Racing Ralph 2.2 with the rear de-knobbed to make it semislick. I’ve just got myself a dyno hub for an upcoming Balkan tour. I had a ‘proper’ gravel bike for a short while, a Spesh Sequoia. The Swift is much more capable and comfy. 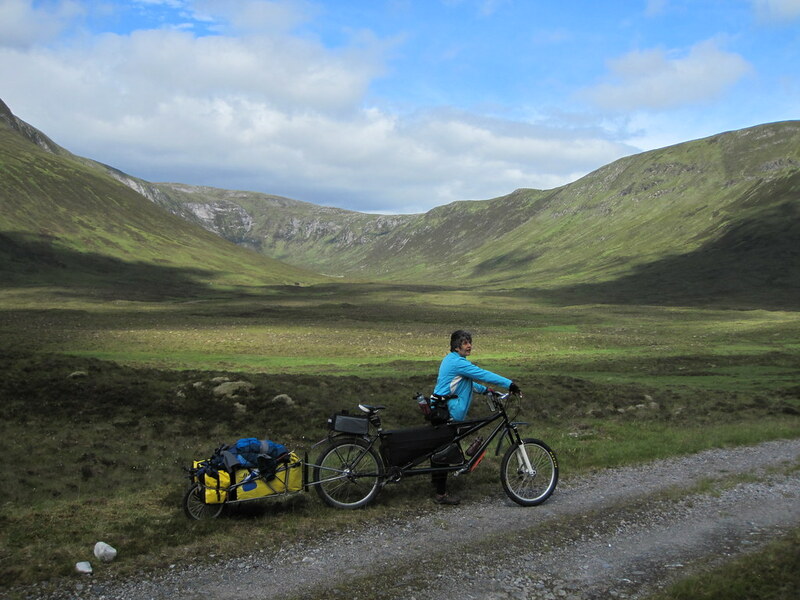 That Monadliath Trail might have been modified somewhat since the Stronelairg windfarm roads were put in, so check the latest OS mapping, but the area generally is excellent. Piemonster and I did a wee road tour round there last weekend. Oh and I plan to ride this route again in a couple of weeks, then write it up properly and give it a dedicated web page on my blog. It would fit perfectly into this thread – mostly easy going with just a couple of rougher sections (mainly the Corrieyairack and the Fair Haired Lads Pass). Not relevant to routes in Scotland but an observation about MTB vs gravel bikes. I’ve been trying to get my FS bike (Salsa Spearfish) sorted for climbing, the descents are already much quicker than on my Solaris but on climbs that’s been quicker. On Thursday I set a PB on a Strava segment that’s a third rough tarmac climb, a third is steady stony climb and a third steady, stony, descent (both these bits are probably similar in gradient and style to the lower part of the Speyside side of the Corrieyairack). In fact I got in the top ten (out of 700). Today I was out on my singlespeed which has CX/gravel tyres on it and just thought that rather than stick to the roads I’d try the same segment. I did my third fastest time and was 1:40 slower than my pb of 9:40 but that would still have put me in 50th place. I wasn’t all out trying in the same way that I was on Thursday but the fact that you can’t change gear means you just have to keep a decent pace up so that you can continue to turn the pedals. I was definitely quicker on the road part but slightly slower on the rest of the ascent then definitely slower on the descent. The FS was much more comfortable than the SS, I wouldn’t have wanted to ride 50km of that roughness of track on it, fine for a couple of km but then I was glad to be back on tarmac. You have to be much more careful with your lines. On the other hand the SS/gravel bike feels more “connected” with what you are riding over, the FS just isolates you from it all. To be fair to the SS (On-One Pompetamine frame) it was never designed as a gravel bike and 37C tyres aren’t what I’d fit to such a bike anyway. BIg volume and supple is the trick IMO. At the moment I’m experimenting with 50mm Stan’s Crows on Easton Arc 40mm rims which gives them a higher volume than narrow rims. So far so good – although I haven’t been able to put the time in on them I’d like because of a wee health problem. The bit of your route that takes you out at Loch Glascarnoch can be boggy. Last time I did it was a few years back, and it was too much hike a bike even for me. If I did it again it would be a fatbike. However it’s not a huge portion, and the scenery is nice. My choice would be to keep going to the bridge at Black Water instead of heading in to Garve. 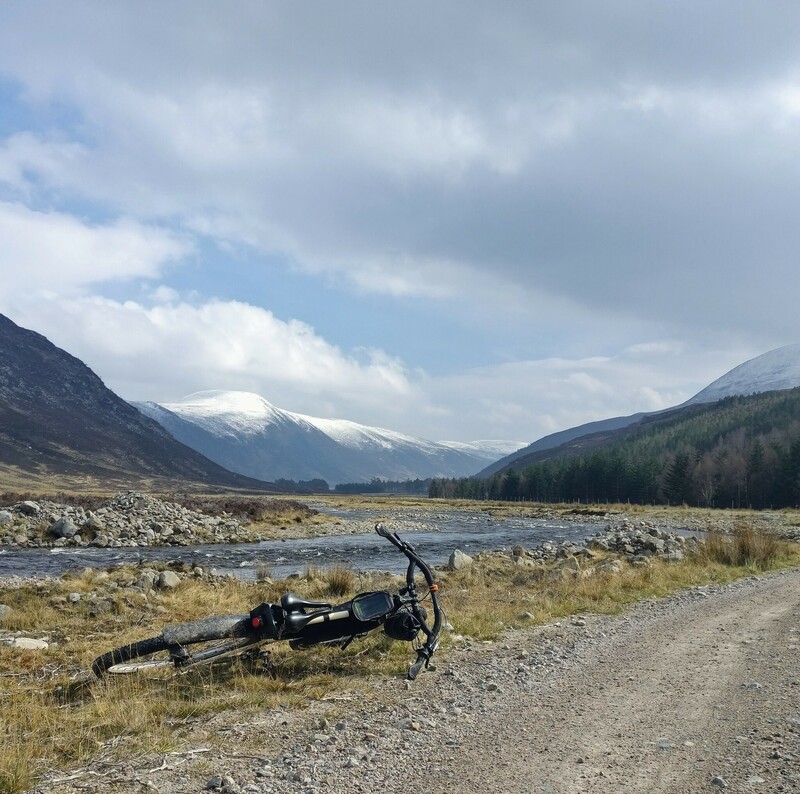 Then you have the choice of a relatively short ride to Inchbae and going into the track near it or a bit further along, south of Loch Glascarnoch. I think someone on here is involved with the inn at Inchbae, so it’s probably worth popping in. 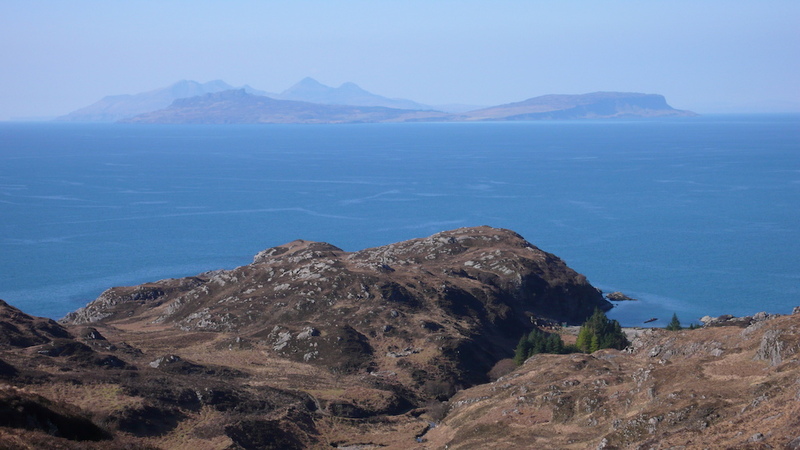 If you double back a wee bit from Black Water, there’s a trail on the hill wich more or less parallels the main road to Ullapool, and that comes out just south of Inchbae. This is what I mean. Contin to Strath Vaich. Your Struy to Fairburn route is that taken by the HT550 and is fine, it’s the “track of a thousand puddles” but I only counted 350 . From Contin I’d continue following the HT550 route, it’s the line suggested by @epicyclo that parallels the main road to Inchbae then the track up Strath Rannoch and round to Strath Vaich. In fact from Struy to Gobernuisgach Lodge (which is up near Ben Hope) apart from the Blackwater to Loch Vaich section your route follows that of the HT550. Your Fort Augustus to Tomich line is part of the return route of the HT. Re: Inchbae Lodge. The owner/operator is on here, don’t know how regularly. His username is woody. Some really inspiring stuff in this thread, definitely bookmarked it for future reference. Had planned a trip to Scotland in 2017 but never made it, hoping to get up there either this summer or next. 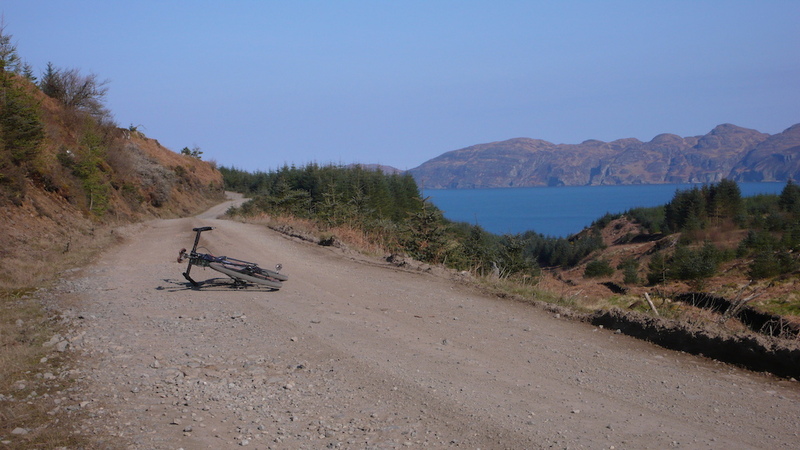 Also added the Caledonia Way to my list of rides to complete, along with the Hebridean Way. I’m still tempted by the track through Lochluichart windfarm as I like riding through big windfarms, but the Longart Forest bit does make more sense. Have you considered the Scottish Borders, the Tweed Valley has some amazing gravel riding , lots of choice and many can be linked with some great quiet roads on a gravel bike too. A great place for a base to explore various loops. Amazing scenery and riding at both places. Aweeshoe: aw, come on, Ossian is so good we can share it out a bit, can’t we..? If anyone reading this thinks it might be a good idea to try heading north west from Ossian towards Spean Bridge, I’d say please don’t try that, it’s just a ball ache even with a big bike, let alone a gravel bike. Catching the sleeper tomorrow night to Fort William, riding to Kilchoan and catching the ferry for a night in Tobermory, on to Iona, 2 nights in the hostel there to give a day to wander and jump in the sea, then to Inverary for Sat night, and a short ride to Ardui to catch a sunday train home. 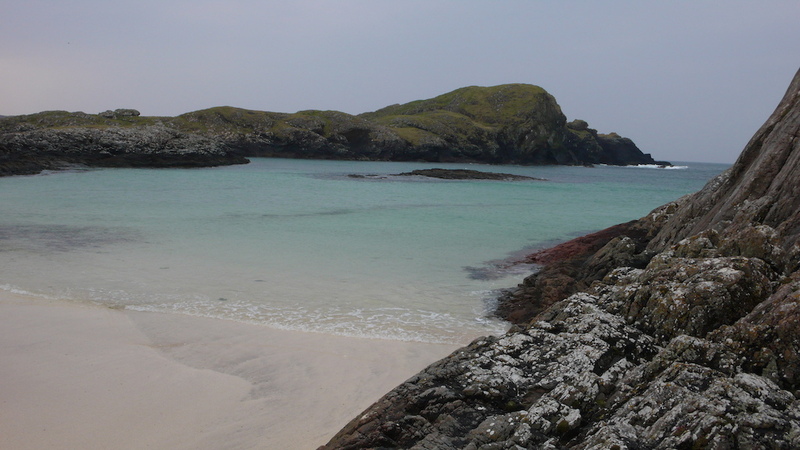 The beach at Fidden is the best in the area. IMO Iona is a bit over-rated. I reckon every second building is a shop or gallery designed to extract money from the visiting hordes who descend on it off the ferry in their coachloads. Mind you, head over to the west side and you’ll not meet many as it’s too far for their wee legs to carry them. Doing the Badger Divide on May 2nd, cannae wait. This is the sort of riding I tend to do these days. Much of what I do tho is multiday so I amnot sure if any routes I have would be much use. 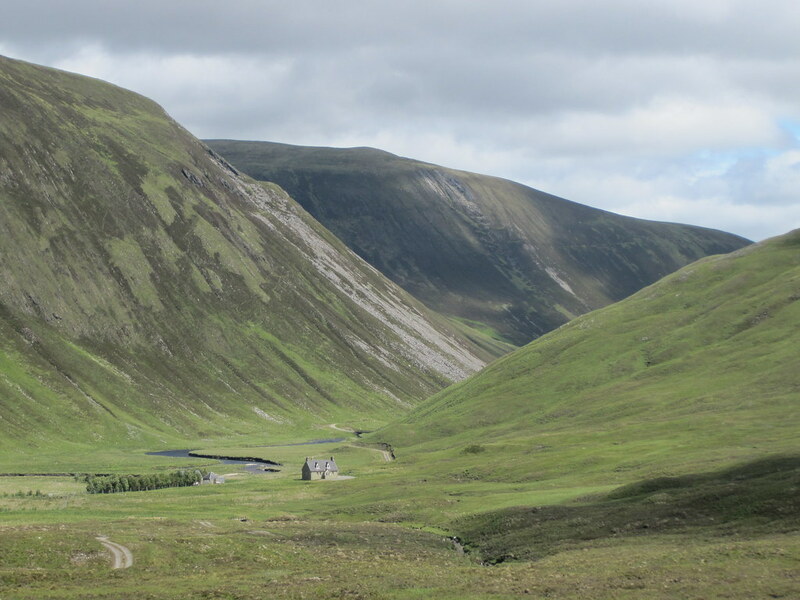 Dunno if loch lyon has been mentioned – there is now a double track right round the loch not marked on the map – we used is as a thru route from just south of Bridge of Orchy. 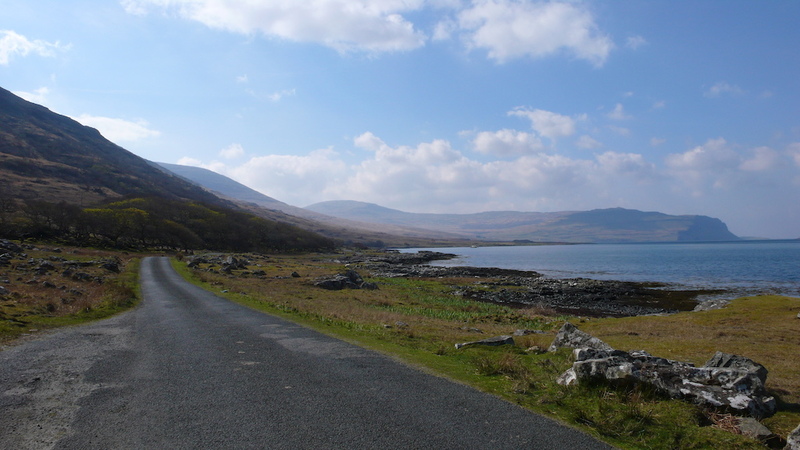 further north Ullapool to Oykel bridge is nice as is Black bridge ( just south of altguish) to Amat – which then can be linked up with the ullapool to oykel bridge route That section I really enjoyed as unusually there was not too many steep climbs! Don’t forget geograph for checking track quality – often very useful. With a map, google earth and geograph you can often tell how ridable a track is. Loch Shiel shortly after arriving in Fort William on the horrendous sleeper train that had me sat on a platform for 50 mins while changing trains in Edinburgh. The track from Kentra Bay to Ockle, tough going as Scotroutes had warned, tougher than I expected, as even the track was rough, never mind the footpath. 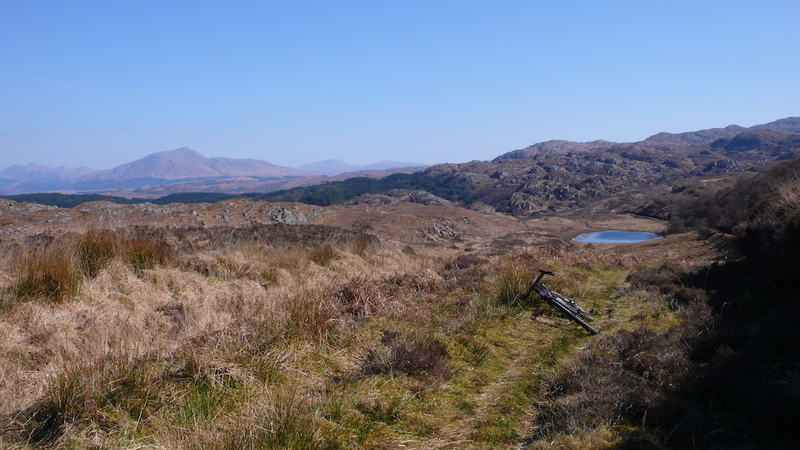 Then I hit the peak wish-I-had-my-mtb moment; or hour, as I hiked through 2km of overgrown singletrack and bog.